When is the Formula 1 Bahrain Grand Prix and how can I watch it? 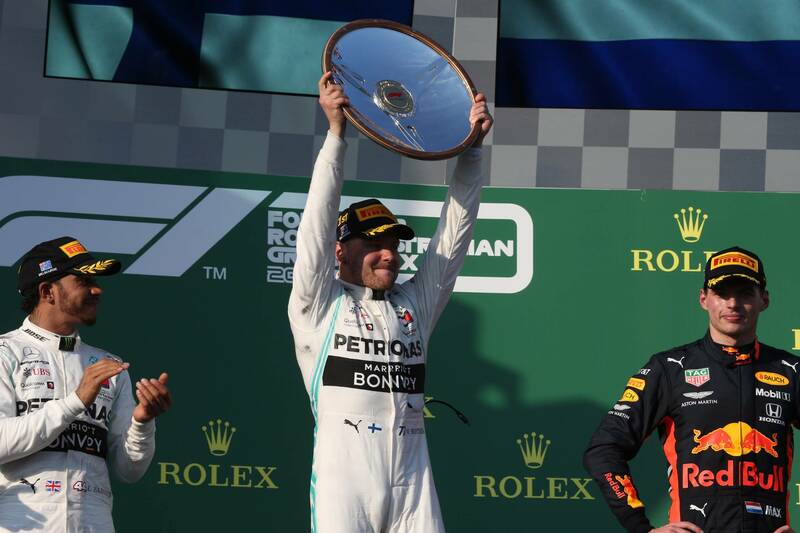 The second round of the 2019 F1 world championship takes place this weekend in Bahrain - here’s all the information you need to keep up to date with the action. Formula 1 is back this weekend with the second round of the 2019 world championship, the Bahrain Grand Prix. The 2019 season kicked off in Australia two weeks ago as Valtteri Bottas bounced back from a disappointing 2018 campaign to begin the new year in the perfect manner, turning in his “best-ever” drive to record an emphatic victory, leading a convincing Mercedes 1-2 from teammate and reigning world champion Lewis Hamilton. Ferrari will be desperate to hit back after being beaten to the podium by Red Bull in Melbourne, having suffered a mysterious drop-off in performance following a strong pre-season showing, leaving Sebastian Vettel and newcomer Charles Leclerc a distant fourth and fifth. Vettel has high hopes of a turnaround in Sakhir with the German looking to record a third consecutive win for the Scuderia. The 2019 Bahrain Grand Prix takes place on Sunday March 31. Cars will hit the track for the first time during FP1 and FP2 on Friday, before final practice and qualifying continues on Saturday. Where is the Bahrain Grand Prix taking place? The Bahrain Grand Prix is held at the Bahrain International Circuit in Sakhir, Bahrain. The track is 5.412 km long and comprises of 15 turns, with the race set to last 57 laps. Where can I watch the Bahrain Grand Prix? The 2019 Bahrain Grand Prix is being shown exclusively live on Sky Sports (UK only). How else can I follow the 2019 Bahrain Grand Prix? Besides TV Coverage, Crash.net will be reporting on-site from the Sahkir paddock with live text commentary from all sessions, plus the usual news, interviews and features. Updates will also be posted to Crash.net's F1 Twitter account (Crash_NET_F1). Where can I watch Formula 1 in 2019? ALL F1 races, qualifying and practice sessions will be shown exclusively LIVE on Sky Sports F1 in the UK during 2019 - barring the British Grand Prix, which will be dual-broadcast with Channel 4. C4 will instead provide a comprehensive highlights package across the season.